Another way to explore lots of great content provided by Google Earth users is with the Google Earth Gallery. Here you’ll find 3D tours like U.S. College Basketball Arenas or Vancouver Olympics venues, or a map of real-time Earthquakes. If you have your own great content you want to share with others, you can submit your KML to the Earth Gallery. We hope these changes to Google Earth help you explore your world more easily and learn about some new places you’ve never seen before. 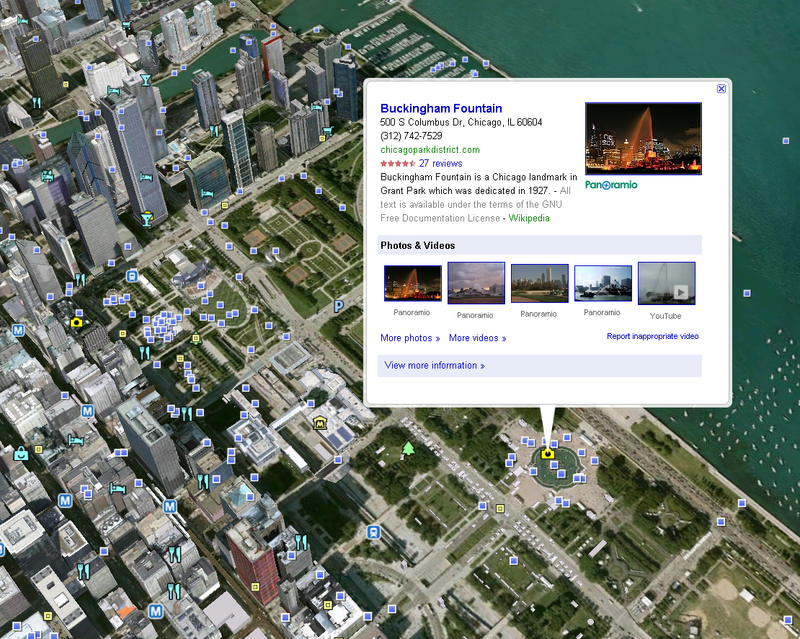 Google Earth is a great way to take a quick tour around your neighborhood or fly to your next holiday destination. Infomation about hotels, parks, mountains and other interesting places is available at your fingertips. You can check out the nearest bus or train station for a spontaneous trip or click on a city name to learn more about it from your desk chair. Since there’s so much rich content in Earth, we know that it can sometimes be challenging to find what you’re looking for. That's why we've made some minor changes that will make it easier to browse for places and content. 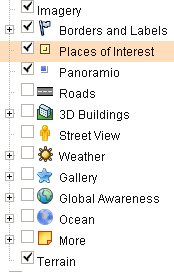 We’ve regrouped and simplified some of the content in the Layers panel to make it easier to use. You can still find the same photos, places of interest, parks, and transit stations as before -- just organized a little differently.